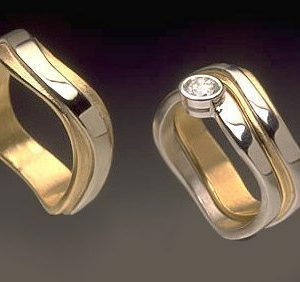 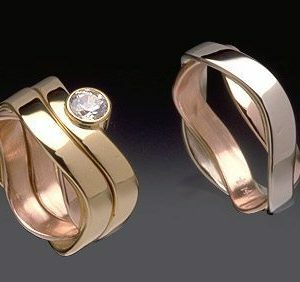 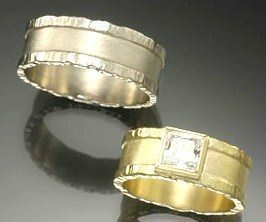 Two-tone gold wedding rings, his and hers wedding ring sets, some enhanced by a beautiful diamond, ignite a fiery passion of love bonding unique souls for eternity. 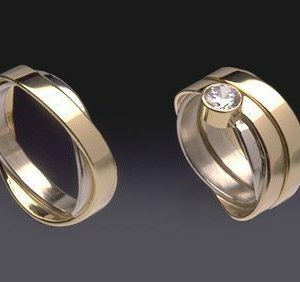 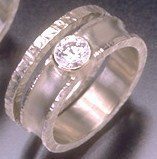 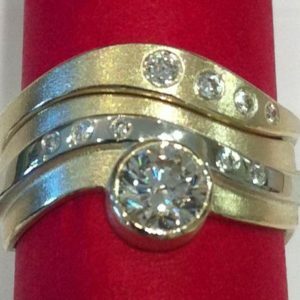 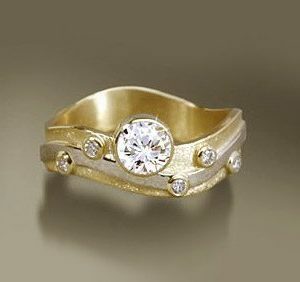 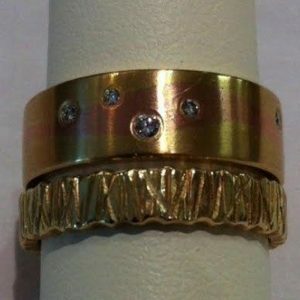 When a matched wedding ring set evokes the emotion of togetherness, it has accomplished it mission, the uniting of people in a marriage. 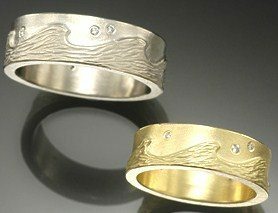 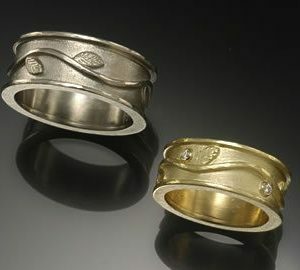 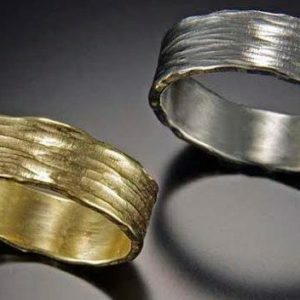 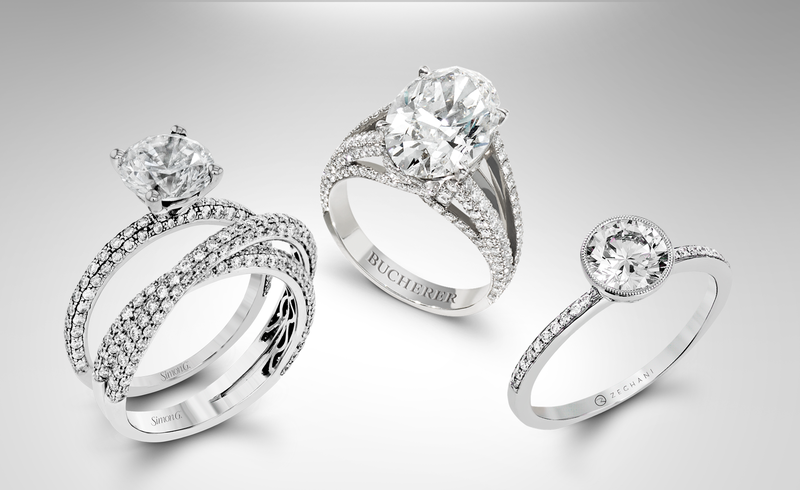 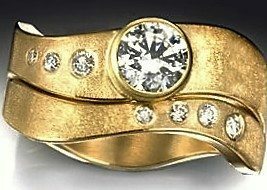 In this unique collection of women’s and men’s matching wedding rings, the graceful curves and flowing lines connect perfectly to become complete and balanced artistic sculptures symbolizing the union of souls for eternity.